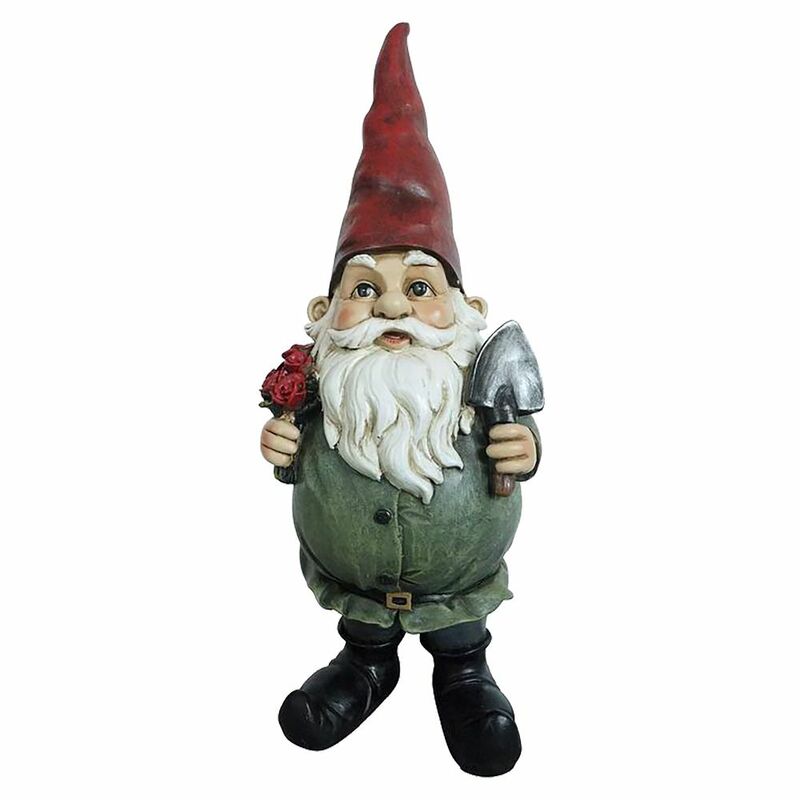 18-inch Flower Gnome Statue. A whimsical accent for gardens, decks, walkways, patios and many indoor uses. Constructed from Comp-Cast, a resilient stone, fibre and resin material. Airdale terrier dog seated. This lovely depiction of man's best friend features this terrier sitting on its hind legs. He has a stick in his mouth and is perhaps waiting for you to play. Makes an exquisite gift. Made from durable poly-resin. Ideal for indoor and outdoor use. Astound and impress your guests with our exclusive, Easter Island head. Said to represent gods, ancestors, or powerful kings, this exclusive replica features the broad nose, strong chin and the rectangular ears of its ancient cousins. Our South Seas statement piece is cast in poly resin with a rough stone finish. Flower Gnome Statue 18-inch Flower Gnome Statue. A whimsical accent for gardens, decks, walkways, patios and many indoor uses. Constructed from Comp-Cast, a resilient stone, fibre and resin material.